Want to try a craft brew from San Diego but don’t care for the double, triple, or quadruple hopped varieties that this area is known for? I’m not crazy about hoppy beers, but I wanted something other than wine to go with the pan fried dorado we had for dinner tonight- yea for my freezer and The Husband’s catch o’ the day from several months ago! 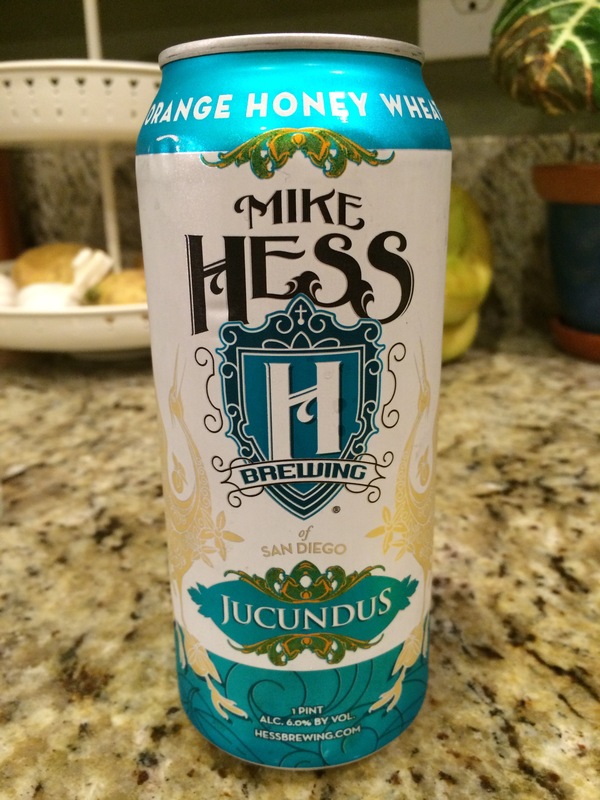 Mike Hess Brewing Jucundus is an Orange Honey Wheat beer that I cannot pronounce. So what If I can’t? What I can do is drink this brew. There’s not a lot of hops, it’s not overly bitter, it is just a nice, summer brew. The beer snobs of San Diego can sacrifice me to the High Hops Goddess for saying this, but I think that this beer tastes like a better version of the basic supermarket beers. Now, excuse me while I duck and run for cover before an angry mob forms to pelt me with local, line caught fish tacos. Blasphemy! Learn to embrace hops!